Nashira Resort Hotel & Aqua Spa is located in Side, Titreyengol and comes with a private beach. The resort is surrounded by beautiful green forestry and sea due to which the area offers cool and fresh air throughout the years. The speciality of this area is that it has reserved more than hundred different bird species and a variety of marine animals of the Mediterranean Sea. This resort provides all the comforts and luxuries you can imagine and lets you spend your vacations with complete peace and tranquillity. 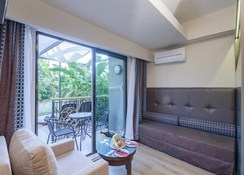 The hotel has a large number of swimming pools, which includes 10 adult pools, 8 kids' pools, 4 Jacuzzi pools, an indoor adult pool and one indoor children’s pool. The on-site aqua park features as many as 27 waterslides that are great fun for both adults and children. 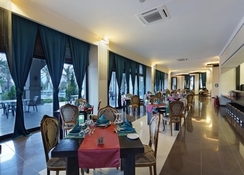 A buffet restaurant within the resort and 4 a la carte restaurants serve the best variety of dishes to the guests. For relaxation, guests can avail a range of health and beauty treatment at the spa and wellness centre. Located in Titreyengol, this amazingly enormous resort is just opposite to the Mediterranean Sea shore. It is located at 10 km from Agora, Manavgat falls and Side Theatre. Side Museum and Side Harbour are also within 6 km of the resorts. The Manavgat town centre is 5 km away from the hotel. 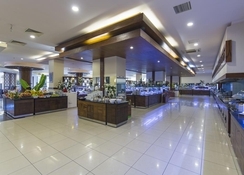 The Antalya Airport is at a distance of 61 km from the hotel. Nashira Resort Hotel & Aqua Spa consists of more than 400 spacious, well ventilated rooms. 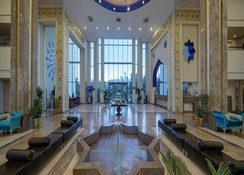 The rooms are decorated in a traditional Seljuk style. They have furnished balconies and bathrooms are well equipped with all essential amenities. Each room is equipped with air-conditioning, a flat screen TV, minibar and room keeping service is provided on a day-to-day basis. Coffee and tea making facility is also available. The rooms have free Wi-Fi, telephone and in-room safety locker. Other necessary items in the room include hairdryer, slippers, free bottled water and desk. 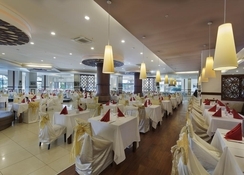 The Sultan Restaurant serves breakfast, lunch, brunch and dinner to the guests in a buffet style. Both indoor and outdoor dining is available here. Apart from this, there are four a la carte restaurants which have specialized cuisines and serve Italian, Turkish, Mexican, Ottoman, Seafood, Asian and barbecue dishes. There are 6 different bars throughout the resort that include flamingo bar, tropicano bar, disco bar all serving refreshing drinks and snack to the guests in their own timings. All of these restaurants, bars and buffet are included in the all-inclusive package by the hotel. A large number of different sports activities and International activities take place at the resort. There are 9 tennis courts in the open fresh environment of the seaside. Also, 10 Olympic table tennis facilities, 2 volleyball courts at the beach and one large multipurpose ground for football are available here. The resort hosts many international sports tournaments such as ultramarathon, bicycling, canoeing and many more. 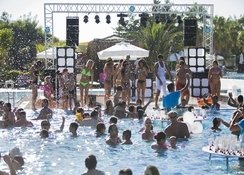 The swimming pools at the resort cover an area of 6000 square meters. Of these pools, 8 are for children, 10 are for adults and 4 are Jacuzzi-type. The aqua Park has 27 slides, of which 12 are for children and 15 for adults. There is one aqua elevator in the outdoor pools for the physically disabled. Apart from tennis, the resort also offers Boccia, water gymnastics, water ball, darts, beach volleyball, football, yoga, aerobics, Pilates and stretching exercises. The spa centre in the resort offers relaxation therapies such as Turkish bath, sauna and body massage services. The resort also has a well-equipped gym.